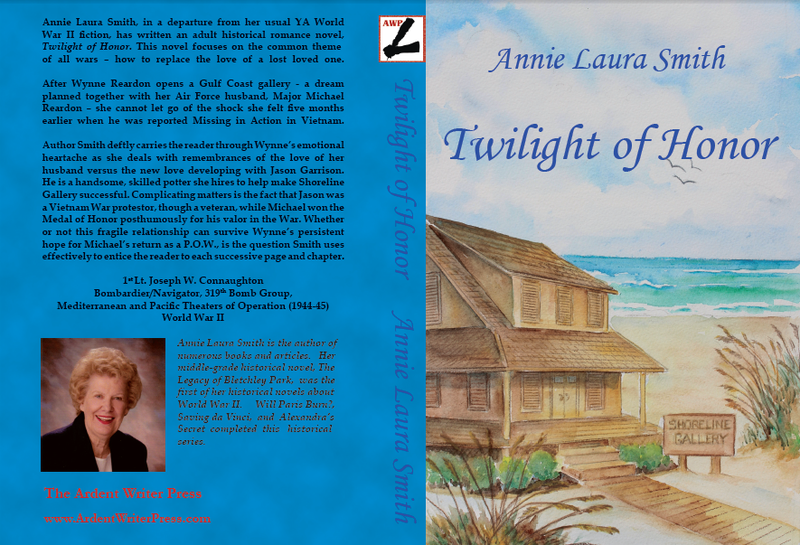 Annie Laura Smith, in a departure from her usual Y/A World War II fiction, has written an adult historical romance novel, Twilight of Honor. This novel focuses on the common theme of all wars – how to replace the love of a lost loved one. After Wynne Reardon opens a Gulf Coast gallery – a dream planned together with her Air Force husband Major Michael Reardon – she cannot let go of the shock she felt five months earlier when he was reported Missing in Action in Vietnam. Author Smith deftly carries the reader through Wynne’s emotional heartache as she deals with remembrances of the love of her husband versus the new love developing with Jason Garrison.